Information Technology Services uses Kayako Fusion for its Help Desk solution. With Fusion you have access to our ever growing Knowledgebase for end-user support, and helpful downloads and support tools. You can continue to contact the ITS Help Desk for support by either phoning (574) 535-7700, or emailing helpdesk@goshen.edu. 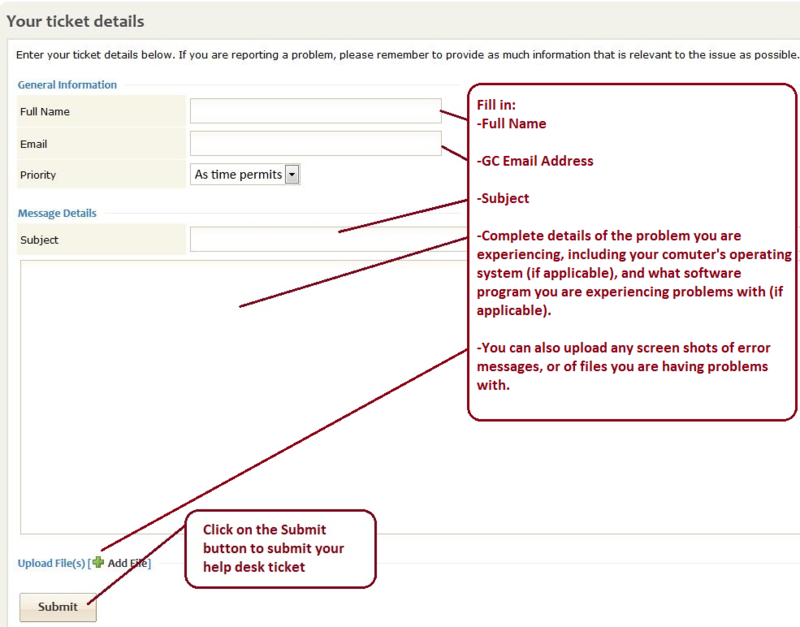 Or, you can access the Help Desk Knowledgebase for self-service computing support. Along with access to the knowledge base, you can also submit your own help desk ticket requests, track the progress of your open tickets, and view your previously solved tickets. You can access the Knowledgebase by clicking the Knowledgebase button. The knowledgebase articles are divided into categories. These categories are listed in a column on the left side. And they are also listed in the center of the page. On the main Knowledgebase page, the categories that are listed in the center of the page also have the top two knowledgebase articles of that category listed below them. 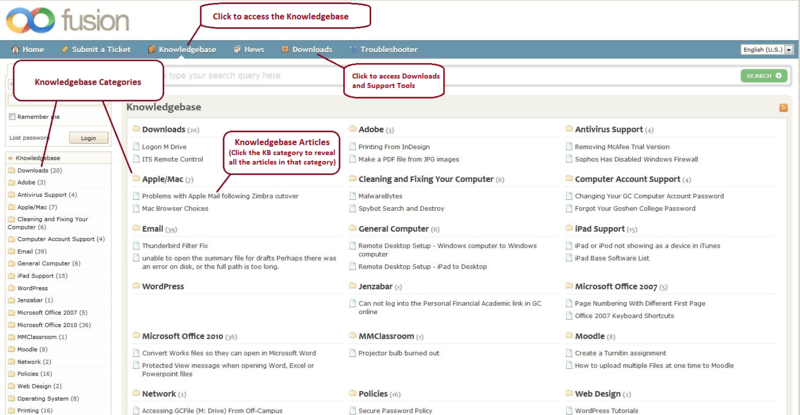 When you click on a knowledgebase category you will be able to see all of the knowledgebase articles available in that category. 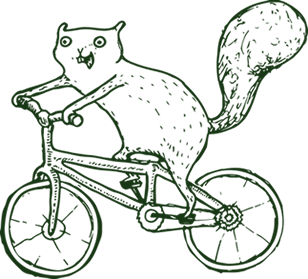 Click on the Downloads button to access downloads and support tools. You can continue to contact the ITS Help Desk for support by either phoning (574) 535-7700, or emailing helpdesk@goshen.edu, however if you would like to submit your own Help Desk ticket, you can do so through Fusion. This is especially helpful if you wish to contact the Help Desk about a problem after hours and do not need a response until the Help Desk re-opens. You can even track your open support tickets and view your history of solved tickets. Log into Fusion using the login fields that are in the upper left corner. Log in with your GC username and password. 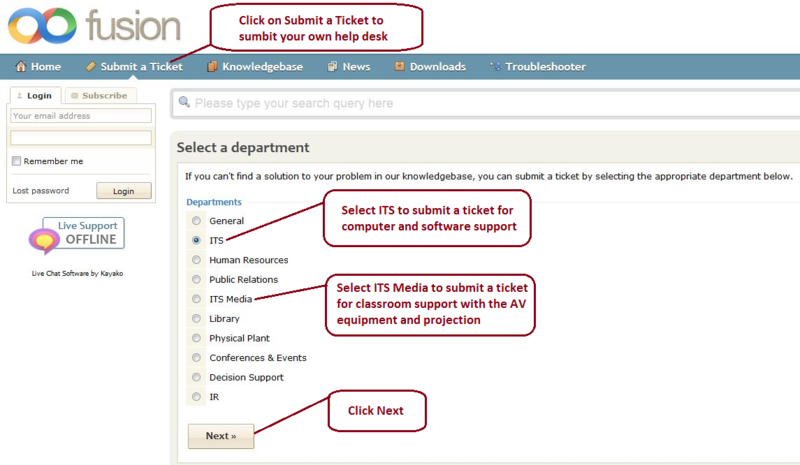 Click on Submit a Ticket to submit your own Help Desk ticket. Select a department; either ITS for computer and software support, or ITS Media for classroom support with the AV equipment and projection. Fill out the ticket details, and then click on the Submit button. You can keep track of the status of your Help Desk tickets that are in the process of being solved. Click on the column headers to sort your tickets by last updated, last replier, department, type, status, or priority. You can also view your history of solved tickets by clicking on the green ‘View Resolved Tickets’ button. This will then display a list of both your open tickets and your solved tickets.